Matt Cutts is a long time chronic blogger, who for a very long time running Google webspam. Matt just published a post stating officially how can be so disastrous when done for the purpose of building backlinks most especially with the aid of low quality content.Close to 283 comments were recorded as at the time of writing this post and this shows how bloggers really valued guest post when talking about building backlinks from hosting blog, to increase their refer traffic and build quality relationship etc. but the question is; Is it advisable for bloggers to stop guest post? Or how possible is that going to be? Or better still for how long would that be? Assuming the current bloggers stop guest blogging to avoid being hit by Google, probably in the next update but what about the upcoming bloggers? Matt Cutts view about guest blogging is just an advice from what I read and decoded, but as a blogger, we are powered with different thought and observation because of individual differences. From my own observation, the death of guest post cannot be officially announced if bloggers still want to build relationship with fellow bloggers, build refer traffics, gain more exposure and make more sales following the same guest posting method outside blog comment. Am not condemning the view of pro bloggers about guest blogging most especially what people recorded about Matt Cutts post, but guest post can still be made beneficial and break Google’s’ jaw when trying to frowning eye on guest blogging for the sake of building links. Following this post to the very end will show you what to do in order to play safe when guest blogging. Write quality content that will help your readers: Your readers stand the chance to making your guest blog go viral. Focus on targeting the blog audience by making them feel more important, and proffer solution to their specific problem. Come to think of it, when your blogging gimmick/tutorial works for your reader, s/he will definitely broadcast the post by either sharing it with his/her social friend or by sharing it in blog community and this will make your guest post more unique, original and chances are that for Google not to classified your guest post as a spam since readers really benefits from it and this can sometimes be judged by the number of Facebook likes or shares, Twitter tweets, etc. Link like professionally: Linking to other post reduces blog bounce rate and at the same time, it increase the number of times your blog visitor spend on the blog, however, linking to relevant post title has a preference over click “here”. Link to other source as well if you’re not the prime owner of the post and this will make your guest post more unique and it will not be considered as spam by search engine. Don’t be selfish about your competitors, link to them as well if the post will be relevant to your readers. Guest post only on relevant blog: Guest blogging has many benefits but it must be done wisely. Guest posting on the same blog niche is the best way to crack Google’s’ jaw if they try to frowning at guest blogging. In this view, guest blogging on a relevant niche with quality content will be of many benefits rather than guest blog on non-related niche and this will also quantify your blog when Google tries to frowning eyes on guest bloggers blog. Write post that are shareable: Social media has taken over search traffic, internet marketer depend more on social media traffic this day rather than search traffic despite the fact that its convert more than social media. When your guest post are shareable, your readers will share the love with their friend by either liking it on Facebook or sharing it on Facebook, pin it on pinterest, and tweet it on twitter. Google love content that are shareable, and this will definitely crack Google’s’ jaw if they tried to frown at guest post for link builders. Conclusively, guest blogging will be very hard to send to early grave if I may say but if not done wise, instead of sending guest blogging to early grave, Google will rather send guest bloggers and their blogs back to their mail junks. Guest blogging really helps but it must be done wisely. This is the Best Instruction for Blogger.. Thanks for Sharing this articles.. I agree with you, writing quality blog post on related blog is certainly going to help. I’m sure Guest blogging won’t end! It’s still a good way to get traffic and links! As you mentioned, writing quality user engagement articles is necessary! and also, we should only write guest posts for relevant blogs! Now a days i am reading many post that guest posting dead or not. In my opinion now webmaster should concentrate more on getting more followers for social media through guest posting instead of getting backlink because post may be popular for short time but if you get followers for social media then it will be forever your loyal reader. 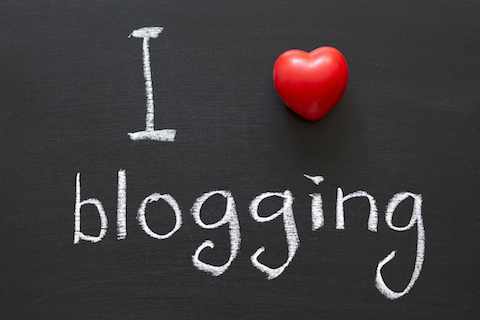 Great tips for guest blogging, After Matt’s statement there is news allover on the internet that guest blogging is dead, but reading your post give some relaxation thank you for your post.